Your inquiry has been forwarded to Howard K Hill Funeral Services. 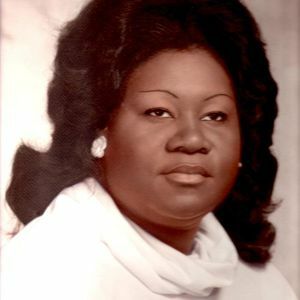 Gwendolyn A. McNeil Taylor, 61 of New Haven born March 14, 1951 to the late Alonzo and Lillie Belle McNeil passed away April 27, 2012 at Connecticut Hospice. She leaves to cherish her memory; Monica (Tolliver) Edwards of Windsor, Charles (Tony) Taylor of New Haven; 4 grandchildren, 2 sisters and a host of family and friends. The beautiful and interactive Eternal Tribute tells Gwendolyn 's life story the way it deserves to be told in words, pictures and video. Monica & Tony ....I'm so sorry to hear about the passing of your mother. My deepest sympathy goes out to you and the entire family. May God keep and comfort you during this time. /On behalf of the Tillman family we would like to offer you all our condolences during your time of sorrow. Hold on to the lord and he will bring you through. God bless you. To Monica & Tony, and Family, I'm sorry to hear of the Passing of your Mother, May God be with you and give you peace and comfort. And may God Bless You. We are praying you will hold on to GOD's hand in your sorrow and know that you are never alone. May warm, happy memories of your mother ease the pain in your hearts as GOD gently wipes away your tears. Monica & Tony, words cannot express how deeply sorry I am for your losss. My prayers are with your entire family. Your mom was truly a fantastic woman! Monica & Tony and all of Gwen's Family Our deepest sympathy to you may God Bless you all. The Howard K. Hill Funeral Staff would like to send our condolences to the family and friends. Please know that we are praying for your strength at this time.